A recent article on money.msn states that the average spent on prom this year is $1,078 per couple. The msn article says that it is not necessary to spend that much. Hmmm? Ya think? 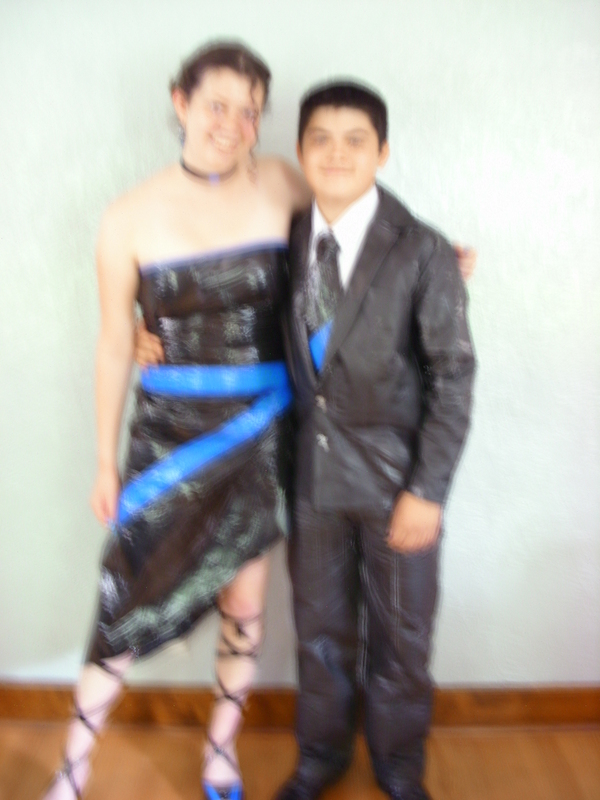 When my daughter heard about Duct Tape prom dresses a couple of years ago, she thought it would be cool to make and wear one to the prom. She sketched a design that she thought was beautiful and flattering to her figure and the two of us set about constructing her dream dress. It was not without obstacles and set-backs. For example, there are a couple different ways to create the fabric. First, we bought a slinky dress at Goodwill for $2.00 and added the Duct Tape to the dress while she was wearing it. The back was to have an elaborate lattice-work, that proved to be a construction nightmare. So, that version was scraped, more Duct Tape was purchased and a partially refined construction method was used. 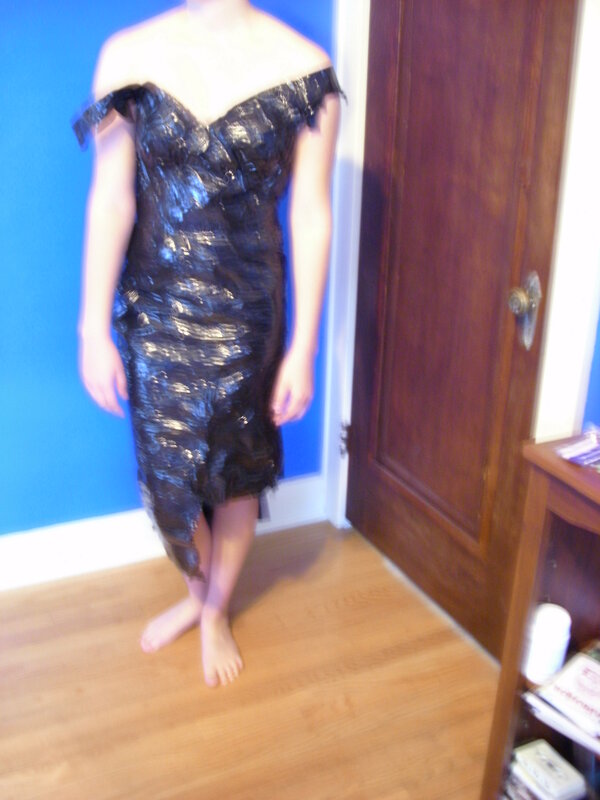 The top portion of the dress was created by adding the Duct Tape to an already owned T-shirt, then the T-shirt was removed and a Duct Tape lining was placed inside. The skirt was made by creating a sheet of Duct Tape material using over lapping strips vertically and then backed with over lapping strips horizontally. This was attached to the top with Duct Tape. 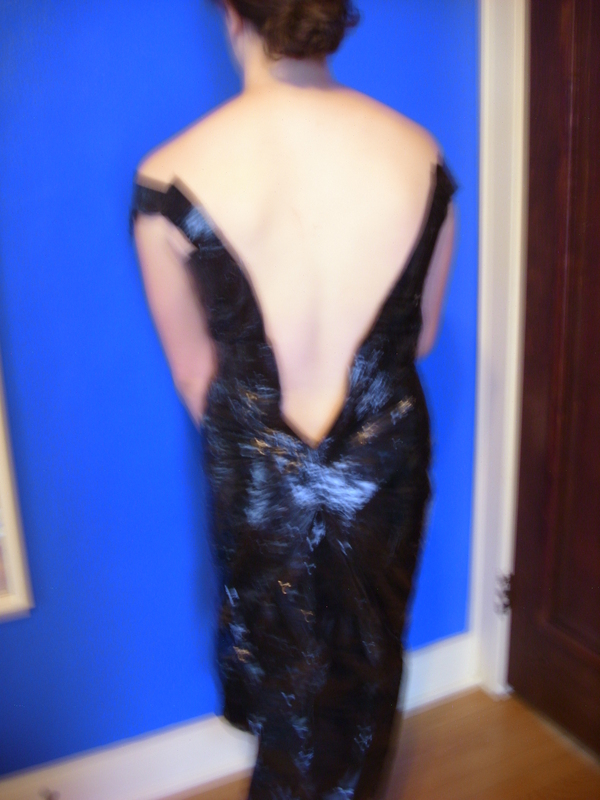 As the dress was form-fitting, and both our openers (zipper, closed loop tape) had failed, the day of the prom, we taped her into the dress and after the dance, she cut herself out of it. Here is a photo of the couple before they headed out for dinner. Notice that the young man has a Duct Tape suit and tie. His was constructed by adding Duct tape over a suit coat and a pair of already owned jeans. Plus the whole process of creating the dress was just fun. My daughter’s choker was also made with Duct tape, her earings were a pair she already owned. I styled her hair. OK. It has been wonderful–marvelous, being part-time. The days expand into pure pleasure….but I am one of those folks that likes to Get Things Done, be productive, and yes… I always do have an ongoing To- Do list. 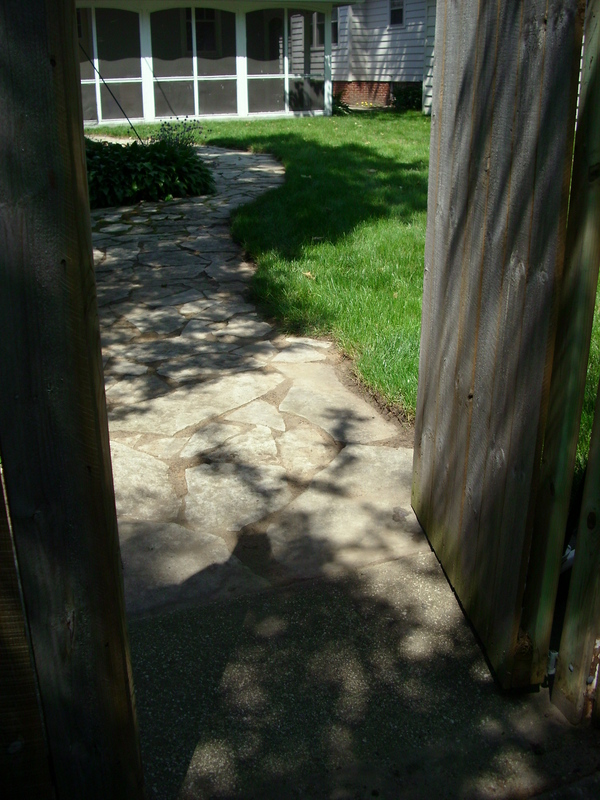 This week, inspired by my boss who took a day off work to play in the yard…I decided to get things done in the yard this week while I had energy and the weather is balmy…. so, I spent 5 hours in the yard today. 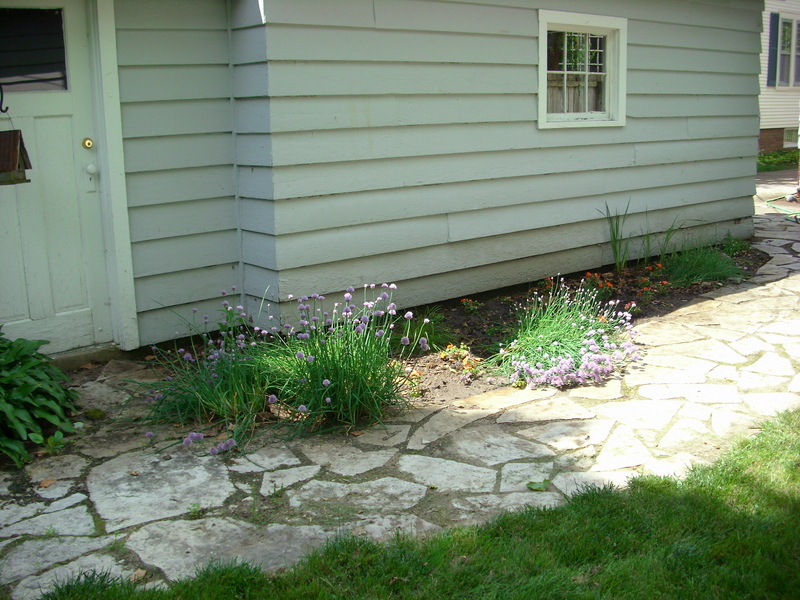 Got a smidge burnt, a ton of work done…for example, I weeded/cleared out the flagstone path, neglected lo these past two years. 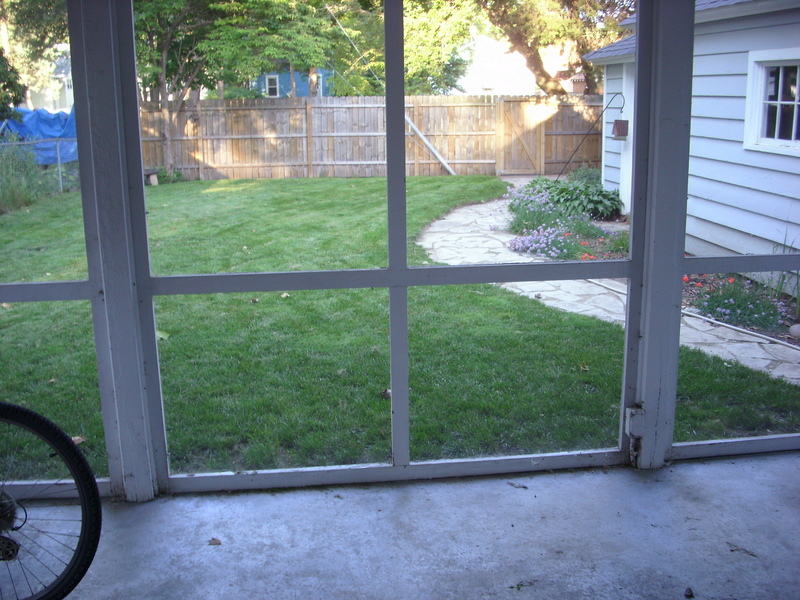 It was so beautiful, I decided to eat outside on the porch, where I could admire my handiwork. And here is the view during dinner. I seem to be creating a bit of a routine for my non-working for pay days. 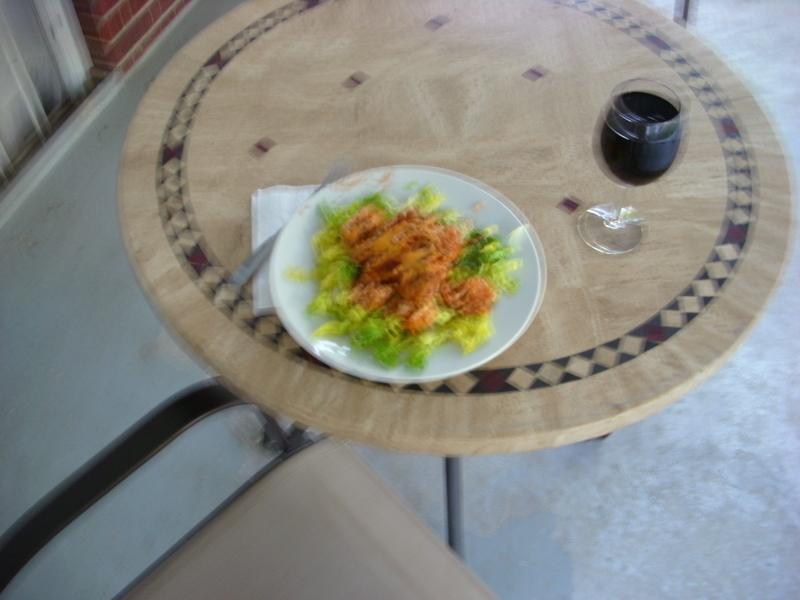 After that, I get cleaned up, have some lunch and do a couple of errands. About 4 -4:30pm I start cooking supper. After dishes there is time for reading. This new pace is just delicious. And my spending is right on track for where I need it to be. But that is a post for another day. I just wanted to let you all know what I have been up to in my first week of part-time employment. First, I have been improving my physical health. I have exercised every single day that I haven’t worked (five so far,) I have eaten only healthy, home cooked items, I have not drunk any alcohol, and with my reduced stress level, I have been sleeping through the night. I feel so much better. Second, I looked at the long list of books that I want to read, that has been accumulating for the past two years while I worked 10+ overtime hours/week. I went on-line to the library request site and now I have three books to read over the next two weeks. Bonus: beloved daughter wants to read one of them. Bonus plus: No cost. Third, last week, I had checked out three cookbooks. I identified about thirty new recipes from those cookbooks that I wanted to try, copied them and have made four of the recipes so far. One recipe we like well enough to add to the regular rotation of meals. All ingredients except two were purchased at Aldi, so the recipes are fairly low-cost. 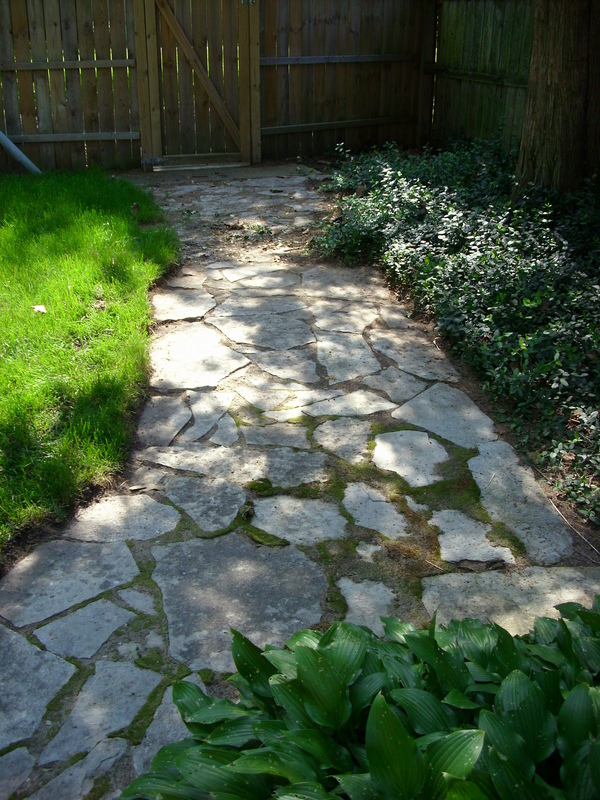 Fourth, I have spent about eight hours in the yard and it looks a lot better. It will probably take me most of the summer to whip it into shape enough that I will gaze upon it with pleasure. 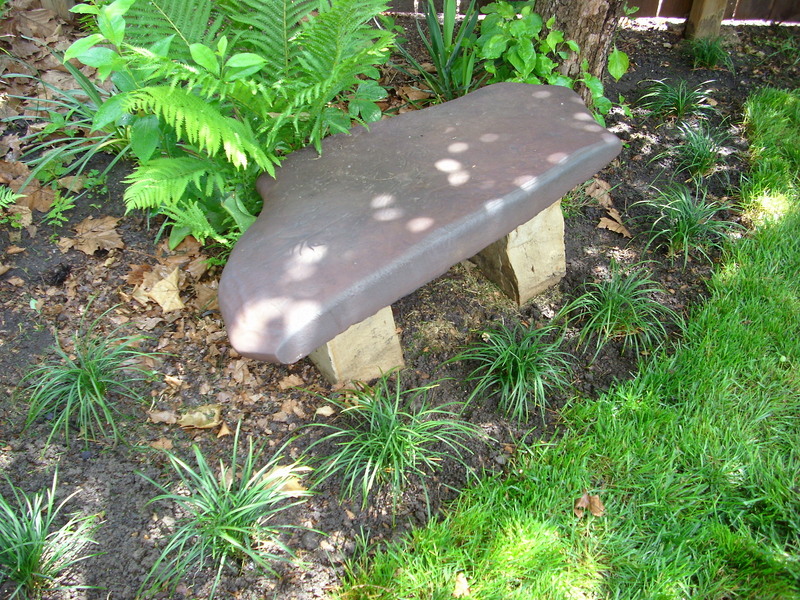 But the work is pleasant, satisfying and low-cost. I will be buying a few plants in the next week or two. Fifth, I had enough time that I could say, “Yes” when beloved youngest son asked if we could tote his entire drum set to the school for a special performance. I am feeling smugly self-satisfied.